Helping the CF community to find wellness of body, mind and spirit. Since 2010, yoga has been one of the key ways I’ve kept myself healthy, stabilizing the respiratory symptoms of CF and finding exceptional quality-of-life. I took my first yoga teacher training in 2013 so that I could learn to practice yoga safely on my own, which started me down a path of my 200 hour certificate, teaching yoga in several community settings, and continuing education including advanced yoga anatomy and yoga for trauma survivors. At the prompting of some of my friends with CF, I wrote this blog post in 2014 that ended up connecting me with other thought leaders who were also using yoga to improve the physical health and quality of life of people with Cystic Fibrosis. In the summer of 2015 I was contacted by a CF physiotherapist and yoga instructor in the UK, Pamela Scarborough, who was using yoga with her patients. We then started collaborating about our shared experiences and knowledge of specific benefits that yoga can bring to people with cystic fibrosis, and ways to customize a yoga practice with considerations for their specific physical and mental concerns. We started talking about a video series around this idea, and there soon was enough interest and support in the health community to make it happen. During the summer of 2016 worked with Pamela to film a series of instructional yoga videos specifically created for the CF population. This was a combined effort by the NHS (the UK’s National Health Service), the Cystic Fibrosis Trust (the UK’s biggest national CF charity), and the online fitness video platform Pactster. I am incredibly honored that the UK project team invited me to be the “face” of the project on camera – that they valued my knowledge as a yoga instructor and experience living a fitness-oriented lifestyle with CF. I traveled to London to do the final in-person collaboration on the video content and complete the filming. The videos were ultimately verified by the Association of Chartered Physiotherapists in Cystic FIbrosis (ACPCF) and have been adopted by clinical teams in the UK as part of their patient exercise regimen. 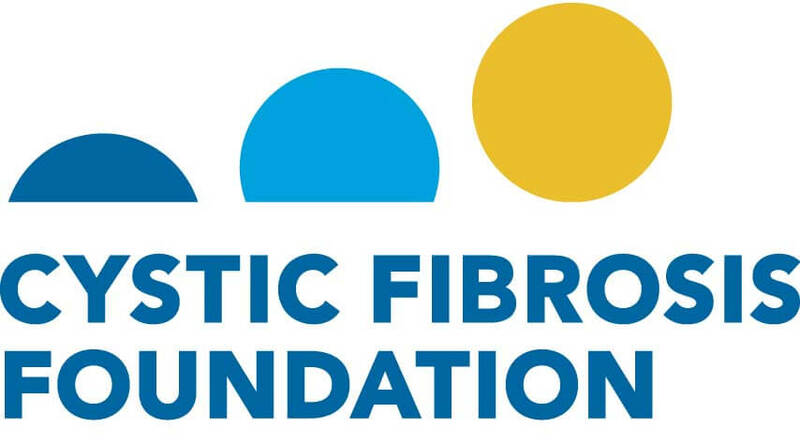 In 2018, I was awarded an Impact Grant by the Cystic Fibrosis Foundation – the world’s largest CF charitable organization – to create a virtual yoga studio offering livestreamed yoga classes for the CF Community. Unlike the one-way streaming of traditional on-demand videos, this program uses a videoconference platform to facilitate two-way communication, so that students and teachers can interact in real-time. The grant funds free weekly yoga classes for people with CF and their support network, including adults and kids with CF, parents, caregivers, spouses, partners, and friends. CF Yogi launches in January 2018. With Pactser and CF Yogi together, students have access to both on-demand videos that they can practice with at their convenience, and weekly livestreamed classes where they can talk with a live teacher. A regular yoga practice is most beneficial, so with these resources combined, students have access to CF-tailored content that can help them stick with it. I’m incredibly honored to be able to support our CF community through both channels! I am one of the teachers in regular rotation at CF Yogi, teaching multi-level flow yoga and chair yoga. The class schedule is announced monthly. Go to CFyogi.org to sign up for updates and follow us on social media! My videos on Pactster include 4 complete yoga practices and 5 supplemental sequences targeting specific needs of people with CF. Follow the link below to pactster.com and use promo code CFwarriorYoga for four weeks of free access. Free to adults and kids with CF, and their support community of parents and caregivers, spouses and partners, family and friends. Free for CF patients at UK care centers. Elsewhere, use promo code CFwarriorYoga for a 4 week free trial!